Seat Depth: 21 Back Type: Loose Espresso legs standard, Walnut legs available as an option. 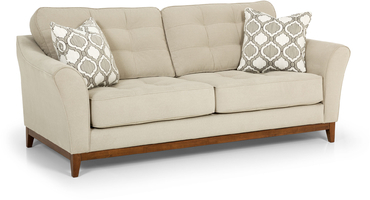 LSF 1 Arm Sofa Chaise Qn Slpr w/ Stor. RSF 1 Arm Sofa Chaise Qn Slpr w/ Stor.